This month I would like to introduce you to the Willis family. "Michael’s parents adopted his little sister from Russia when she was 18 months old, and he has always talked about wanting to pursue adoption. My grandparents adopted my uncle, and my youth minister and his wife adopted their two boys—adoption was familiar to me, but it was never something I actually considered for my own family. We started having more friends and friends of friends post blogs and fundraisers as they began their adoption journeys. I read all of them and bought all the t-shirts. Again, I never thought this was something I’d be doing, but I was intrigued. Michael and I would talk about adoption sometimes, but it was never very serious. 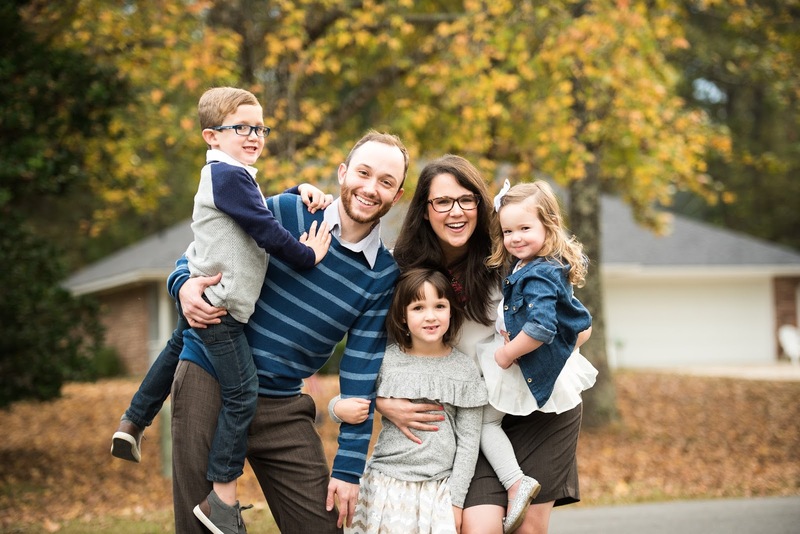 We started talking to our kids about adoption, and they were ready to go to China! They find things around the house that they tell me we need to save for our “baby” when he/she comes home. They pray often for him/her, and they’re so excited! We all began learning more about adoption and how it is such a CLEAR picture of the gospel. Seeing the families around us love the kids they have adopted has profoundly deepened my understanding of God and His heart for His people. That’s a TINY part of the story leading up to our decision to pursue adoption. So why are we adopting? Because God loves us. He loves orphans. He is about the business of setting the lonely in families. He has allowed us to begin this journey, and we couldn’t be more grateful. We know that God designed our family before the foundation of the world, and we can’t wait to add one more! Michael spent three months in China teaching ESL after his sophomore year of college, and I currently teach ESL online to kiddos in China. We live right down the street from our pastor and his wife who adopted from China- we had the privilege of watching them go through the entire adoption process and bring sweet Hattie Jane home! Our other friends from church brought their little girl home from China a few months later. Michael attended a seminar where one of the speakers talked about international adoption, and he suggested that one way to choose a country was to choose based on a place you already have a connection with. We definitely have a connection with China, and we can't wait to bring our little one home!" It is my favorite thing to hear how God stirs people's hearts toward adoption, and many times you hear that the wife starts feeling led that direction before the husband. That's how it was in our case, but I loved hearing that Michael was on board before she was. 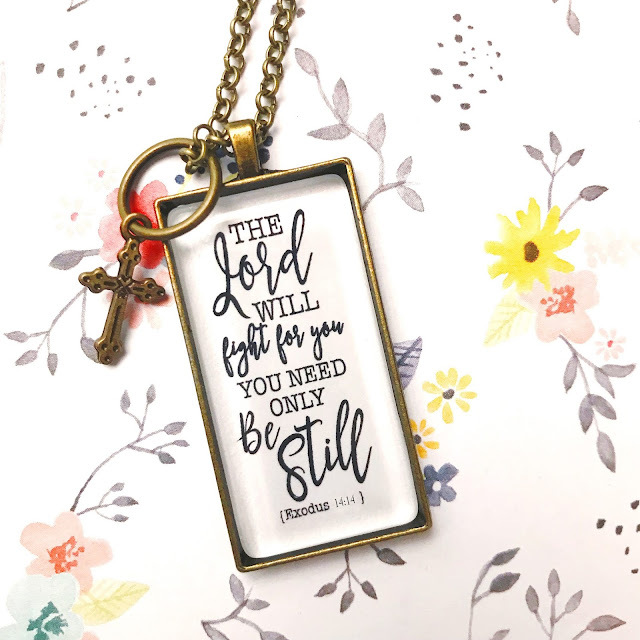 For their necklace, the Willis' chose Exodus 14:14, "The Lord will fight for you, you need only BE STILL." I love this verse so much and especially how it relates to their situation. Adoption is not easy. Many times it can seem impossible...the waiting, the finances, the transition, the trauma, etc. BUT God fights for the orphans, and He fights for the families willing to open their hearts and homes to them. That doesn't mean it's not still hard, but it means He's with us every step of the way. You can PREORDER this necklace now from the shop, and it will be delivered in 3-4 weeks. Half of it's proceeds will be donated to the Willis family to help cover their adoption expenses. If you would like to donate further to them, please visit their fundraising page. Thank you so much for your support!! !